Our preliminary assessment is complimentary. 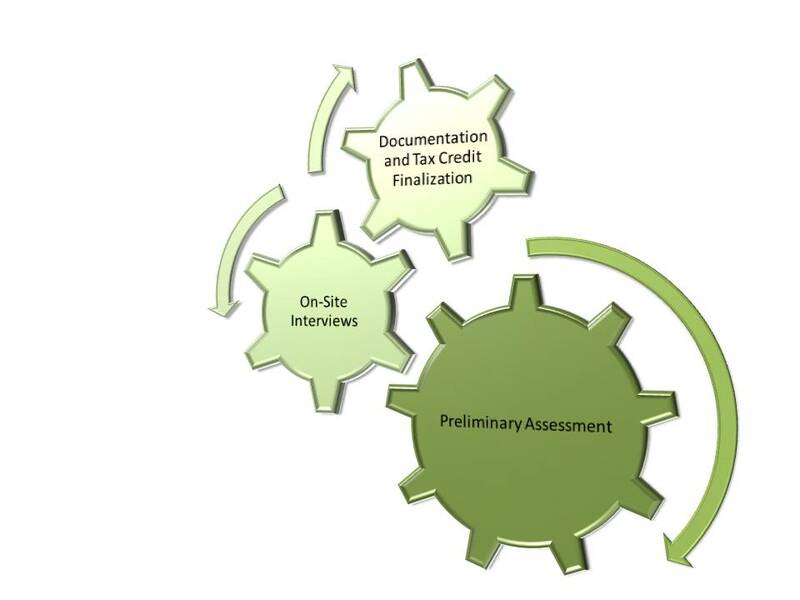 We determine the scope of your R&D tax credit opportunity through initial interviews and data review. We then provide a customized plan for project execution. Our work centers around on-site interviews with key personnel. Simultaneously, we guide the procurement of existing contemporaneous documentation for the specific client in need. Our on-site interviews provide the basis of your documentation binder, a customized description of your Qualified Research Expenses which we deliver upon project completion.